Is Your Holster Secure Enough? Many people don't realize the importance of making sure your belt attachment is the correct size. 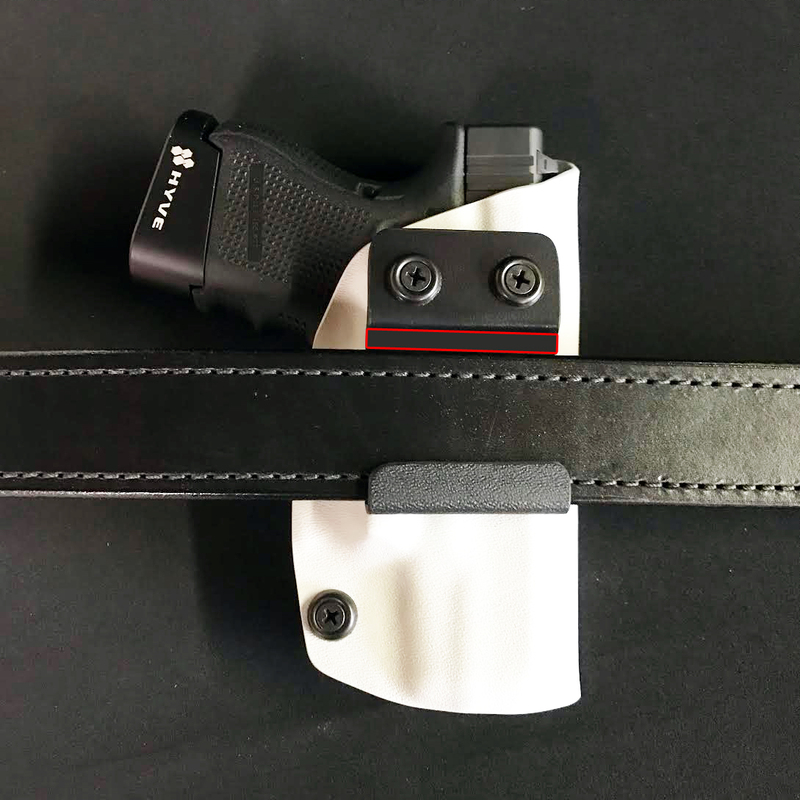 With a well fitting belt attachment, your holster should stay in place with zero movement on the belt- all day long. 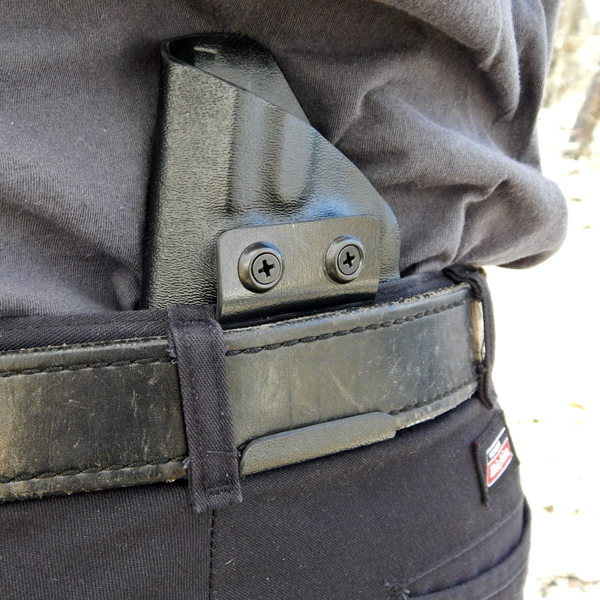 With an ill-fitting attachment your holster may move around on the belt or even come out with the firearm when you draw- not an ideal scenario. As you can see above, the red outlined space indicates that the attachment chosen is too big for the belt. This is a 1.75" J-Hook paired with a 1.5" dual layer bullhide belt. On the J-Hook, there is a shelf that catches the top of the belt, securing the belt within the attachment. If too much space is available to the belt, the shelf will not catch, causing the belt to become dislodged. The above J-Hook is a perfect match for this belt. The top of the belt lines up perfectly with the shelf, locking the belt into the attachment. For clip attachments, the lip that catches the belt has to be in contact with the bottom of the belt at all times. If there is too much space available, the lip will not catch the belt and result in the holster coming out with the firearm upon drawing. The picture above shows an ill-fitting single loop attachment. This is about a .25" difference and is easily solved with a 1.5" Single Loop attachment. This amount of space might cause the holster to move around on the belt. It may not seem like a huge issue, but if there is an imminent threat resulting in the need to draw, you will revert to your training when going for your firearm. 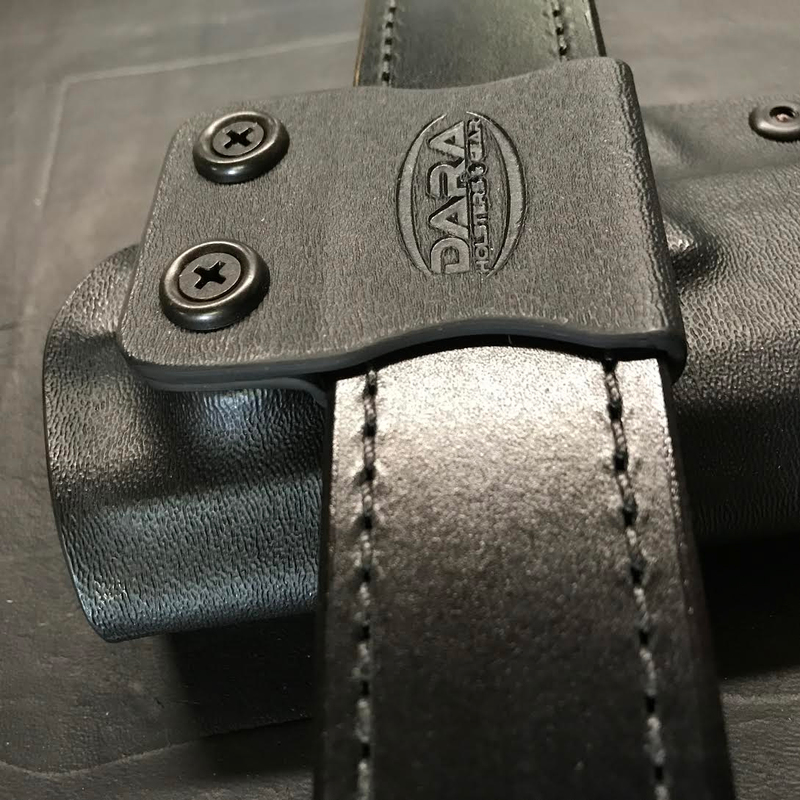 If your holster has been moving around due to a too-big attachment, your holster could end up at the 5 o'clock position instead of the 3 o'clock position that you're used to, costing you precious seconds in a bad situation. Here we have a perfect fit! The 1.5" Single Loop is paired with a 1.5" belt with zero room available for movement. 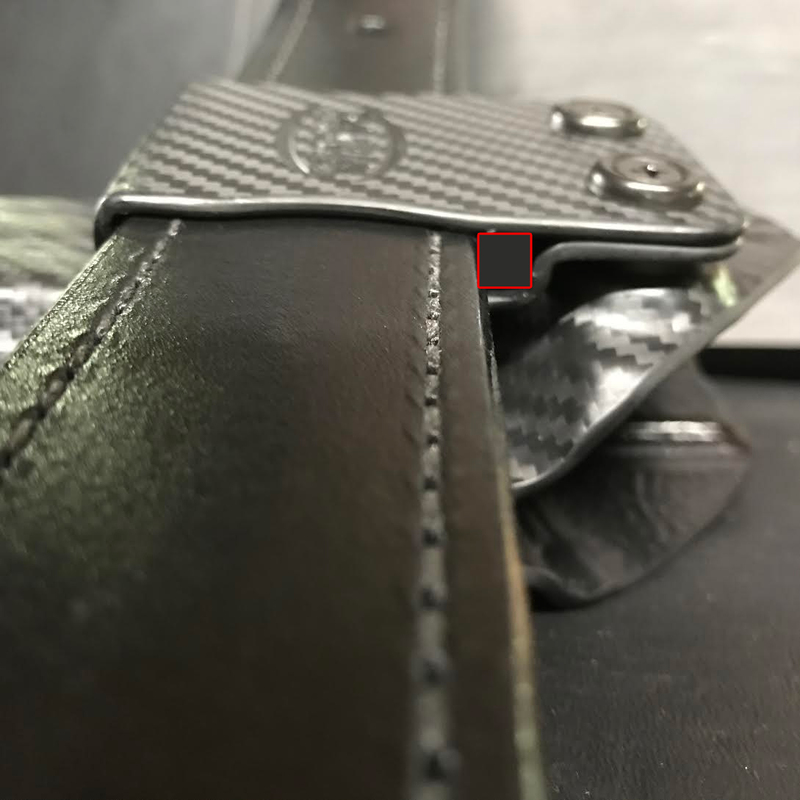 Now- sometimes a belt manufacturer that advertises 1.5" as their belt width will end up producing a belt that is slightly over that measurement. In this case, the 1.5" Single Loop may be too small, the only option for the Single Loop is going to be the 1.75" selection, -OR- you could opt for the 1.5" Double Loop which has about .175" of extra space. Since the belt threads through the Double Loop twice, there shouldn't be any movement even with this extra space. If you need to purchase a belt attachment of a different size or wish to purchase an additional attachment, please click on the pictures below.